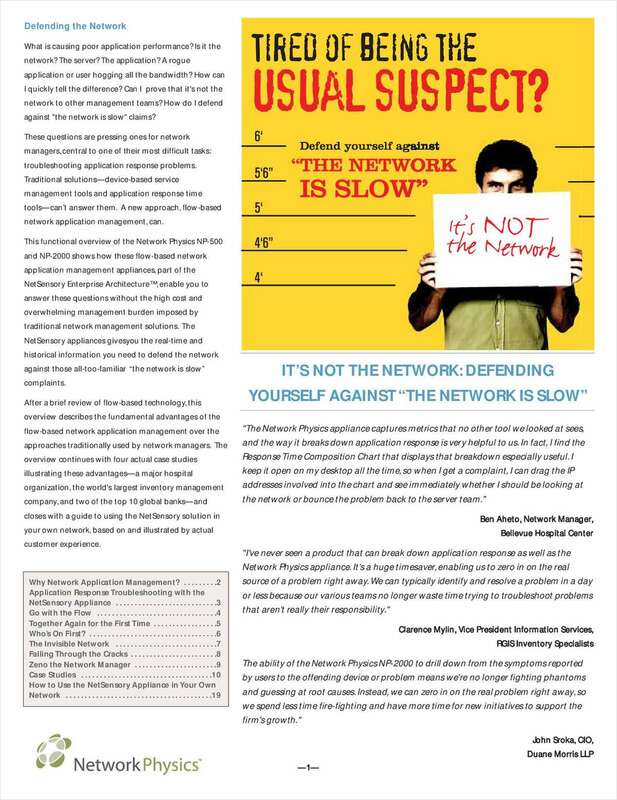 "It's Not the Network: Defending Yourself Against "The Network is Slow""
Free White Paper: "It's Not the Network: Defending Yourself Against "The Network is Slow""
What is causing poor application performance? Is it the network? The server? The application? A rogue application or user hogging all the bandwidth? How can I quickly tell the difference? Can I prove that it's not the network to other management teams? How do I defend against "the network is slow" claims? This white paper shows you how, illustrated by customer case studies.